A pesky insect which you will notice creeping around the homes of Perth is termite. If you do not pay attention to the termite infestation in your home, then you will see the structures of your property are at stake. 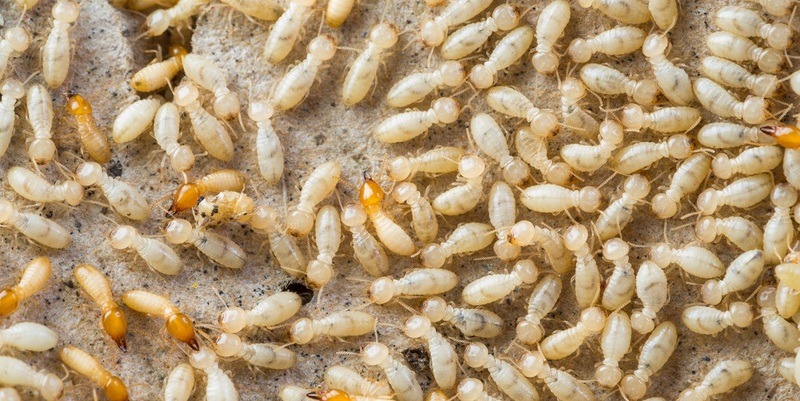 The breeding of termites in a person’s home can be a threat for your inestimable home. Termite insects can not only threaten the structures of your property, but also the insects can pose a threat on other valuable items such as cellulose materials of your house. The creepy termites thrive in your territory, causing menace all over your home. The insects, white ants, cause destruction in commercial properties and residential properties. The breeding process of termites is very rapid. Termites work together day and night to build their nests inside your property. The damage done by termites break the homeowners’ bank. Also, the home insurance companies do not have coverage for termite damage. Therefore, you will have to safeguard your home from getting damaged by termites. You need to catch termite infestation in time before termites infest your property. Do not let termites eat away your property. The pest control experts of our pest control company are there to rid you of from termite damage. Call in our termite control Perth technicians at your home to deal the termite infestation effectively. The pest technicians will spot out the signs of termite breeding and will also tell you the measures you can take up to forestall the infestations. How the tiny critters harm your property? The majority of damage is done to the structures of homes. The silent destroyers eat through the floor joists, ceiling joists, beams and wall studs. The colony of termites is potential to affect the structures of your house. At times, the damage takes place beneath the structures of homes which become hard to detect. The cellulose materials such as wood and papers are susceptible to termite damage. If your house has a metal sliding, an insulation and plaster, then the termite pests will eat those items too. Our pest technicians will identify the termite species and exterminate subterranean termites, formosan termites, dampwood termites, drywood termites and desert termites with our effective termiticides. The pest technicians of our pest control company will come to your place to implement termite treatment Perth services on period of basis, so that your house is always safe from termite attacks. The use of our termiticides and termite repellents will provide a long-lasting solution to your house. The prominent step to protect your abode from termite infestation is to have a periodic inspection and treatment around your territory. Our pest technicians will do an extensive assessment in your territory to know the depth of infestation. The termite control service is a sure-fire method to stop the silent-destroying insects from infesting your place.